Malibu Farm. Great for breakfast, brunch, and lunch. 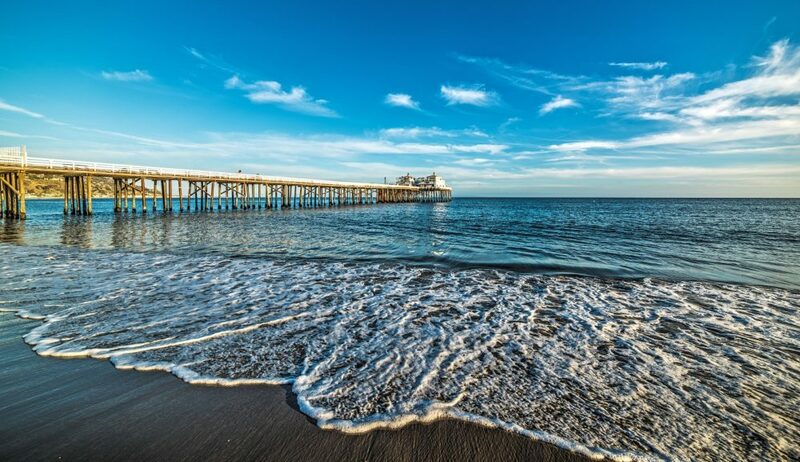 This is a community spot where you’ll find Malibu locals as well as tons of tourists. But the food is no joke. It it is full of fresh produce and it is always tasty. Please your Gluten-free, paleo, vegetarian, vegan guests. They cover it all here, but still have an amazing burger. Expect a wait on weekends and when the weather is sunny. Great for kids too. It is on the pier so you can watch surfers while you eat. All the best things about California. One of the only places I don’t feel bad paying more to eat good food! Straight from Italy, this gelato is the real thing. You know they take their churned cream seriously when you see the gelato sitting in metal canisters. This way the gelato is kept at the optimal temperature so it doesn’t get icy. This gelato is always rich and creamy and you can taste the ingredients in every bite. Nothing artificial or colored. Makes me feel like I am Italy. It’s all about the thin crust for me. This pizza place has seen all the celebrities come and go to get a slice of pie. I used to work nearby and always loved going in to see all the celebrity photos on the wall. It’s a simple, thin crust pizza that you can get by the slice. Cute little place in a Malibu strip mall. Don’t miss it. Live in Los Angeles or Malibu and want healthy lunch delivery? Contact Joanna at www.chefjoannas.com to eat more vegetables. All diets accommodated.